Sea La Vie is nestled amongst the bush, high on the hill in Onetangi with gorgeous expansive sea views out over Onetangi Bay, the gulf islands and back to the city. Come and enjoy the peace and tranquility, wake up to the Tui’s in the morning and be mesmerised by the beautiful sunsets at night. A perfect retreat for discerning couples who wish to get away from the hustle and bustle of everyday life. Luxurious stand alone studio apartment and outdoor lounge area with off street parking, immaculately presented and extremely well appointed. Fully self contained including kitchen with fridge/freezer, dishwasher, microwave, ceramic hobs. LCD flat screen TV with Freeview. Stereo with Bluetooth for your tablet or smartphone. Super King bed, hair dryer, washing machine on request and BBQ, all the amenities you need to enjoy a relaxed romantic holiday for two. •	Bird and Forest reserve and walking tracks. Walking tracks from Trig Hill to Awaawaroa or Whakanewha Regional Reserve. These tracks are a 5 min walk from Sea La Vie. •	Eco Zip Adventures is a new tourist destination on Waiheke Island where you ride the flying fox zipline through the bush and then a guided forest walk back to the top. This attraction is also a 5 min walk away. •	Onetangi Beach is a few minutes drive away with its beautiful long stretch of white sand. •	The Boathouse Cafe and Bar and Charley Farleys Beachside Bar and Restaurant are located on the Strand at Onetangi Beach. Both these places have superb food and the best views on the Island. •	There are also a number of vineyards in Onetangi, all providing award wining wines and beautiful food. Escape to Sea La Vie for your next Romantic Getaway! Owner onsite - if there is anything you need please ask. Perfect for a romantic getaway or honeymoon. 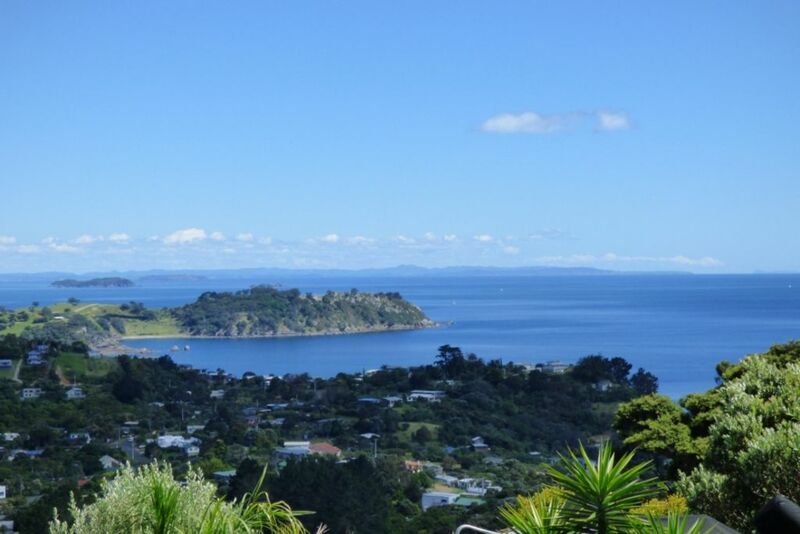 Gorgeous Sea Views over the Hauraki Gulf. Lovely outdoor lounge area for relaxing out of the sun. Peace and tranquil surrounds with bush and birdlife at the door step. Free unlimited Wifi, password will be given on check in. This apartment has the wow factor. Beautiful presentation, views and fittings. Chrissy has great communication and nothing is a problem. We had a great experience with hostess Chrissy who met us at arrival and made sure everything was in order and to assure we had everything we needed. It is centrally located and close to Onetangi beach where we had breakfast overlooking an extraordinary beach. A perfect place to unwind with a lovely deck and outdoor seating. The place was even more perfect than the photos! Wishing our stay was longer! Always going above and beyond to make it feel like home! If there were 1000 star review we'd give it! Fantastic location, accommodation and host. Thank you.